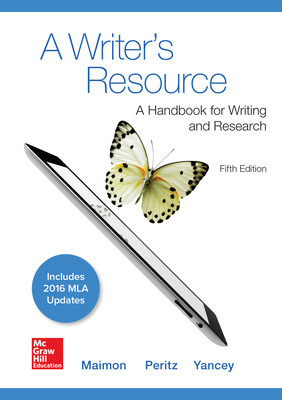 A Writer’s Resource helps writers identify the fundamental elements of any writing situation—from academic papers to blog posts to 140-character tweets. Its innovative, transferable techniques and practices build confidence for composing across genres, media, and the academic curriculum. The fifth edition clearly demonstrates that every major, every field of study, and every potential career path depends on written communication.